Many people file for Chapter 7 bankruptcy, and they manage to rebuild eventually. No one said it will be easy, but it is possible. Call at 1-801-505-9679. The Bankruptcy is Filed…Now What? So, you filed for bankruptcy. No more debt collectors are calling your phone. You can breathe a sigh of relief. You have a clean slate and are starting from ground zero. However, there is a big red flag on your credit report indicating your Chapter 7 bankruptcy. So what’s your next step? Where do you go from here? Many people file for Chapter 7, and they manage to rebuild — eventually. No one said it will be easy, but it is possible. People file for Chapter 7 with the help of an attorney once their debt is greater than their income. This debt can come from anything from credit cards to medical bills. 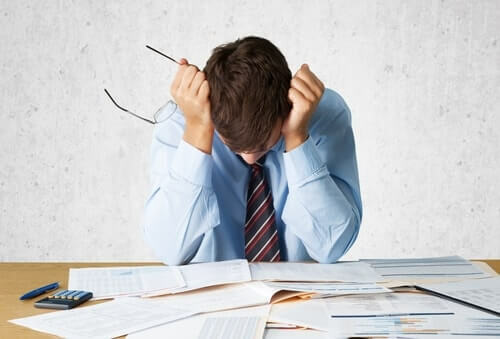 So here are the next steps to take after your bankruptcy has been filed. It’s important to not only create a budget, but to stick to it. A budget helps you keep track of your income and your expenses. You will be able to see where your money goes in black and white. You can also find places to cut out unnecessary expenses. For instance, if you go out to lunch every day, that may be hurting your pockets a little more than you realize. A $10 meal, five days a week, four weeks a month amounts to $200 a month. That’s $200 that could be going elsewhere. Then, of course, you want to save money. It sounds obvious, but not really. The less money you have in your pocket, the more likely you will be to use your credit cards. Saving money and spending in cash can significantly help you cut down your debt. You also have to exercise restraint. Impulse buys get a lot of people in trouble financially. Obtaining a secured credit card is a great way to go for building back up credit once you and your attorney have filed your Chapter 7 bankruptcy. Your limit on the card is determined by the limit in your account. Your payments are reported to the credit bureaus. This is a great way to build back up your credit. You can also ask your bank to take out a small loan. By making payments on time, you show you are financially responsible. It will do wonders for your credit in the future. If you have filed for Chapter 7 bankruptcy, you make think it is the end of the world, but it is not. Many people go through it every year, and many come out on top. If you do find yourself in that situation, however, get a Chapter 7 attorney who will represent you to the fullest. Justin Myers will do all that he can to make sure you are well taken care of. Don’t put your future in the hands of an amateur, get the attorney with the know-how and the experience to get you back on the right track. Bankruptcies aren’t fun, but you can make the best out of a bad situation by giving Justin Myers a call today.